Mackenzie Grey has started a brand new life in an attempt to escape the Brooklyn Pack. She settles in as a detective in a special unit of the LAPD when her identity is put at risk, and she has no choice but to run again. The question is: does she want to run forever? As events force Mackenzie to confront her past, she is met with many surprises - including the revelation of her true ancestry. 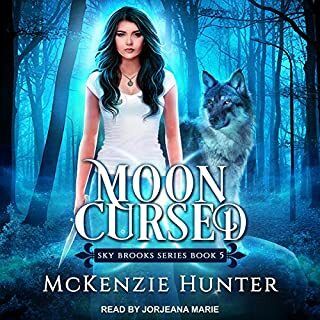 When Packs across the country learn of who she is, Kenz becomes the object of desire in a deadly wolf hunt, and she must once again fight to keep her freedom. Yes! 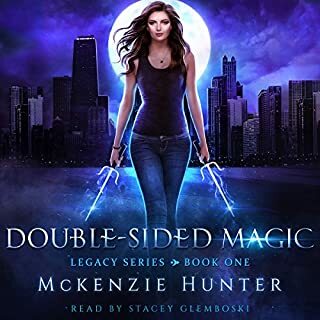 This series is amazing, Mackenzie Grey is a funny, passionate character who doesn't take crap from anyone and she just keeps moving forward. The supporting characters are fun to follow and the unwavering support all the characters have for each other is what we all strive to find in life. What was one of the most memorable moments of Caged? Mackenzie's character is just coming into her own and she fights for what she believes in, even after people try to knock her down and break her spirit. It's hard to pick one memorable moment but I love when she comes back to New York and Bash and Jonah's reactions. 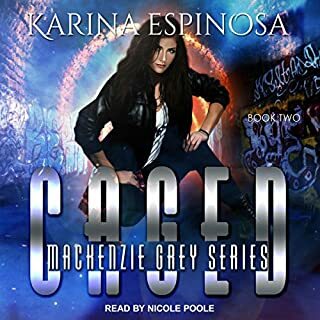 Nicole Poole is such a great narrator, I've listened to a couple of her series she's preformed and she's also fun to listen to. I like the sarcasm she puts into Jackson's banter, he's a fun character for sure. After the time she spent in the abandoned subway tunnels. That was hard to get through, as was her struggles after the fact. This series is so fun and I'm so invested in the characters. All the relationships that are developing as well as the action and adventure, the changes Mackenzie is fighting for with the Luna's, it's just a great series with so much potential for more. If you could sum up Moon Cursed in three words, what would they be? What other book might you compare Moon Cursed to and why? Seven series by Dannika Dark. Did Jorjeana Marie do a good job differentiating all the characters? How? She does a great job differentiating the characters. My only complaint with her is that she reads soooo slow. I had to change my listening speed to 1.25x to make it through and that helped. Sometimes it sounds a little off since it is sped up, but it's not bad and she is a good enough narrator, that's just my only complaint. Yes! There has been so much character development and so many things left unanswered. Sky has changed so much throughout the series and I'm really appreciating her character development and growth. It's been so enjoyable following her in this series, learning how to be in a pack but still staying true to herself. The relationship developments have come so far as well and I am here for all of it and can't wait for book 6. This is a great series to get into for those who love the shifter/magical world. I loved being back in Mac's head, and getting back to a more mature outlook on things. Great narrations like always from these two.